Buy Aqua-Oil Sword Pinstriping Brushes series-70 size 2, by Andrew Mack Brush Company are made very similar to the Mack Brush Fast-Lite Pinstriping brush. The Aqua-Oil Sword Pinstriping Brushes series-70 size 2 has a mixture of Squirrel Hair and Taklon to give the brush more body. Latex or Water-based paint has a higher density and Mack had to mix taklon with pure squirrel for body and snap, but Mack kept a generous amount of pure squirrel in the brush to carry enough paint to make it a good striper. 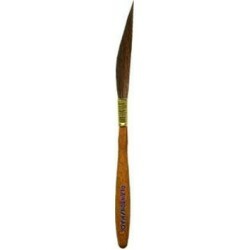 A great outdoor pinstriping brush for a windy day, holds it body and shape. Used by Pinstripers and Sign Painters everywhere! A generous amount of pure squirrel ensures the brush can carry enough paint to make it a good pinstriping brush. Available in sizes 00 (1-3/4"), 0 (1-13/16"), 1 (1-7/8") and 2 (2"). 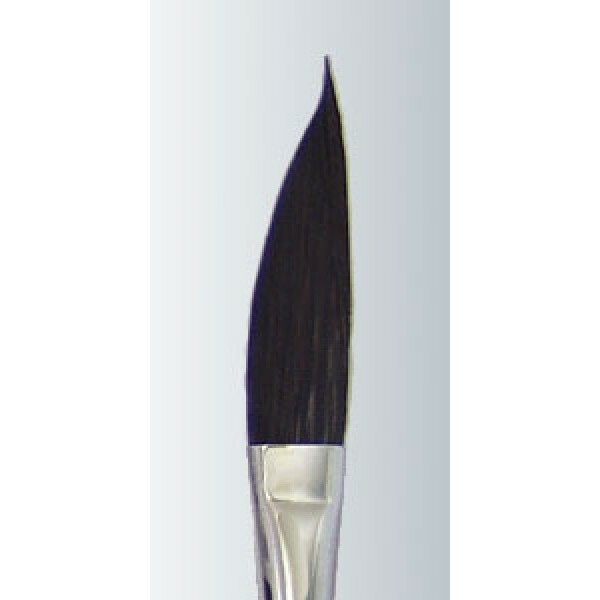 Aqua-Oil Sword Pinstriping Brushes series 70 size 2 for sale here. Aqua-Oil Sword Pinstriping Brushes Series-70 size 00Buy Aqua-Oil Sword Pinstriping Brushes series-70 size 00, by Andrew Mack Brush Company are made ve..
Aqua-Oil Sword Pinstriping Brush Series-70 size 0Buy Aqua-Oil Sword Pinstriping Brush series-70 size 0, by Andrew Mack Brush Company are made very sim..
Aqua-Oil Sword Pinstriping Brushes Series-70 size 1Buy Aqua-Oil Sword Pinstriping Brushes series 70 size 1, by Andrew Mack Brush Company are made very..
Aqua-Oil Sword Pinstriping Brush Series-70 size 00Buy Aqua-Oil Sword Pinstriping Brush series-70 size 00, by Andrew Mack Brush Company are made very s..